Angels Breath fulfilled all of his trainers' promise in him, when landing the Grade 2 Sky Bet Supreme Trial Novices Hurdle in tremendous style. This 4yo gelding was an easy winner of an Irish point back in April, and was held in high regard by connections before the off. With only four hurdles jumped, with the ones up the straight omitted, Angels Breath hardly spent anytime in the air. Instead, he showed off his stunning turn of foot to a busy Ascot crowd. Having tracked the leaders early on, he went 2nd going well two furlongs from the finish, before quickening clear, and winning impressively. 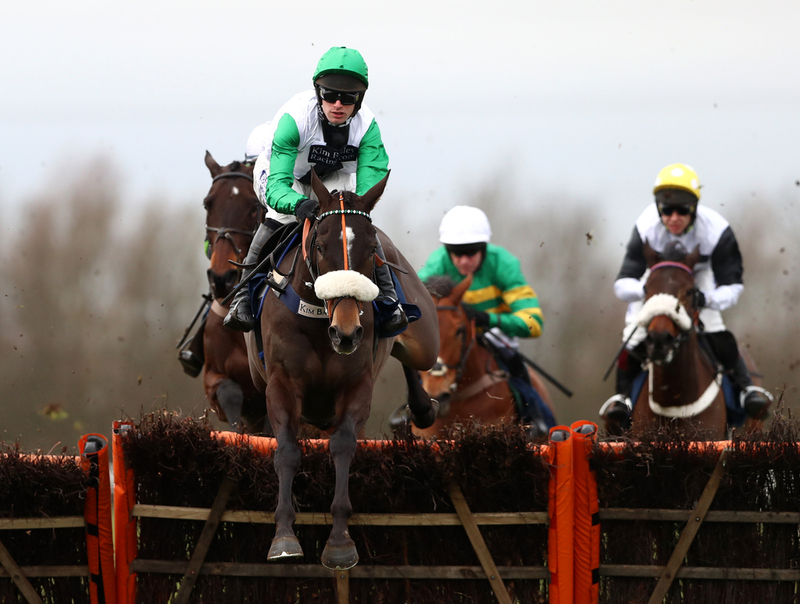 The Crazed Moon continued to exploit her low mark by winning again at Uttoxeter this afternoon, in the June Taylor Memorial Novices' Handicap Hurdle. Was unpenalised for her success at Bangor last week, so a bold bid was expected again, and she certainly delivered. She raced keenly, and was prominent throughout. She led before 3 out, clear from next, and despite rider dropping his whip just before last, he was nudged out and won in good style - four lengths officially in the end. Vinndication (pictured) continues to roll on after his win in the Grade 2 Noel Novices' Chase, has now stretched his unbeaten run to six. Smart novice hurdler last campaign who now looks like a natural chaser; graced with so much raw talent. Won on his debut, and stepped up in excellent fashion this afternoon. He jumped well, and tracked the leader early on. The 5yo gelding then had enough of the pace, and led from the 7th. The challengers came, but Vinndication stayed on strongly again to win by just short of a couple of lengths.